Inspiring, participatory communal worship is a hallmark of our congregation. We are committed to creating a warm, inclusive atmosphere whenever we gather for prayer. Our community comes together for daily morning minyan, Shabbat and holiday worship, all of which follow traditional Jewish liturgy. 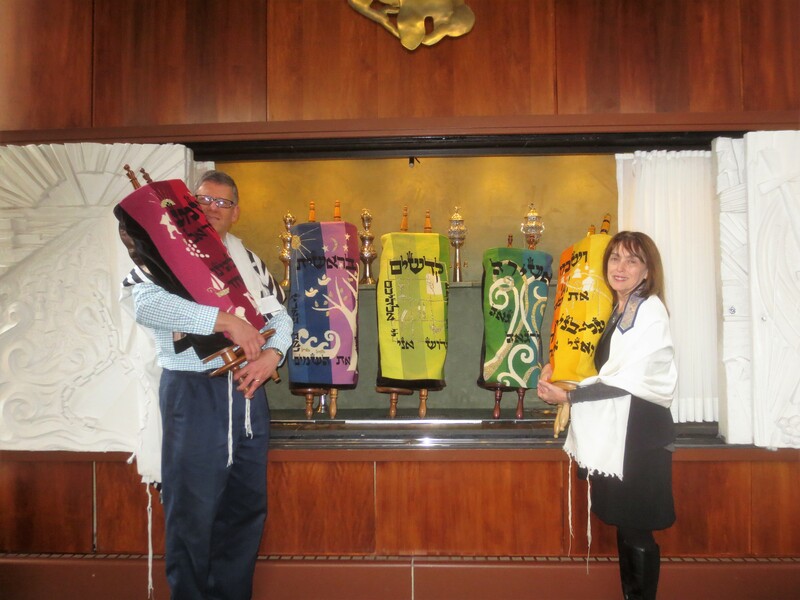 Shabbat – Our meaningful, engaging Shabbat morning services are led by our rabbis, together with many community members who possess the desire and the skills to share in that leadership. Children are welcome members of our prayer community. We even have a “kids corner” so that you can be with your children in our sanctuary during services, and they can enjoy books and toys at the same time. Participation in our services is fully egalitarian with regard to gender. While adhering to the core practices of Jewish prayer, we seek creative new ways to use ritual in Jewish contexts as we strive to deepen our connections to God, to ourselves, and to one another. Daily, we have the opportunity to strengthen our community by participating and sharing in the responsibility of making a minyan. By attending the daily minyan, we share in a ritual that has endured for centuries and will endure long into the future. At Ohav’s daily minyan we reach out to grieving congregants, welcome visitors, strengthen old friendships and make new ones. As an essential value of Ohav’s community, people of all ages, those who have recited the prayers thousands of times and those who have never even heard them, are encouraged to take part equally.